Beat the butter in a bowl until soft. Mix in the sugar and salt. Add the eggs and continue to beat until the mixture becomes lighter in colour. Add the cocoa powder and beat briefly. 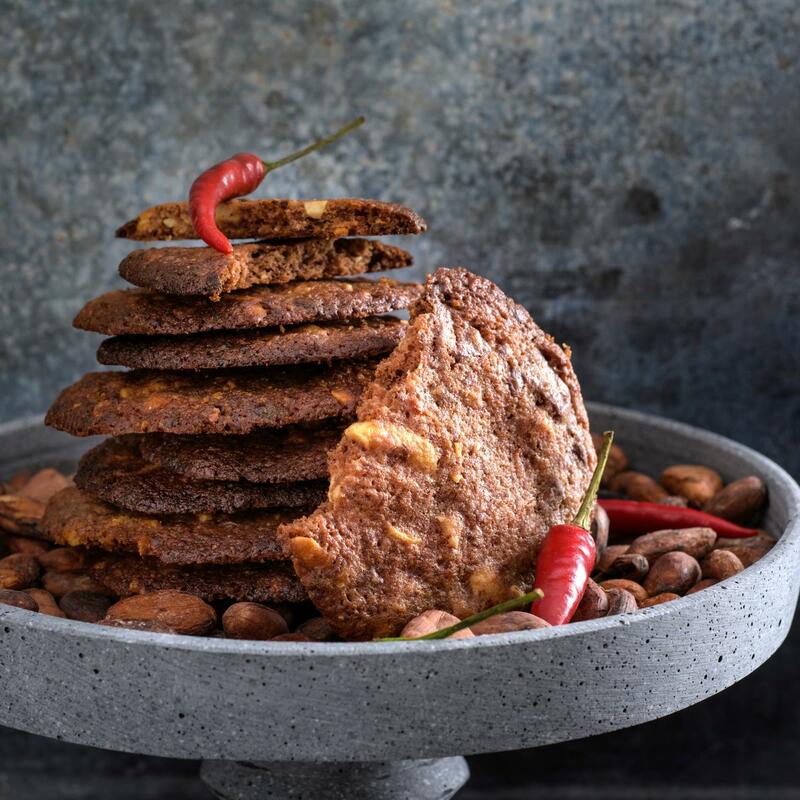 Stir in the chocolate, nuts and chillies Combine the flour and baking powder, mix in. Spoon the mixture (1/2 tbsp per cookie) onto two baking trays lined with baking paper, ensuring the cookies are well space out. Using the back of a wet spoon, flatten the cookies a little. Bake for approx. 10 mins. in the lower half of an oven preheated to 200°C. The cookies should still be moist after baking. Remove from the oven, sprinkle with a little Fleur de Sel, leave to cool on a cooling rack.